Grind all the ingredients with little water to a smooth paste and keep aside. Heat oil in a cooker/vessel ,add all the tempering ingredients one by one and fry lightly. Add onions and fry for only one minute and add ginger garlic paste,sprinkle some salt and fry till the raw smell leaves. After that add tomatoes and mint leaves fry till tomatoes get soft and add the grounded paste and saute till oil starts leaving the sides of the vessel. Now add mushroom and peas,turmeric powder and fry for 3-4 minutes. After that add the soaked and drained rice fry gently for 2-3 minutes and add enough water(to cook) and salt mix well and cook till the rice is done. If u cook in heavy bottom vessel or non stick vessel,cook the rice in medium high flame,once 3/4th rice done then turn to low heat and cover the vessel with wet clean kitchen towel and close it with the lid and cook for another 5-10 minutes. 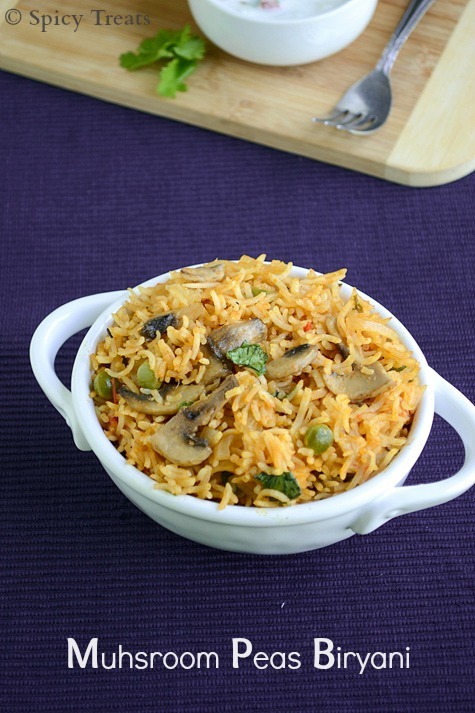 After that open n give gentle mix...yummy mushroom peas biryani is ready now. 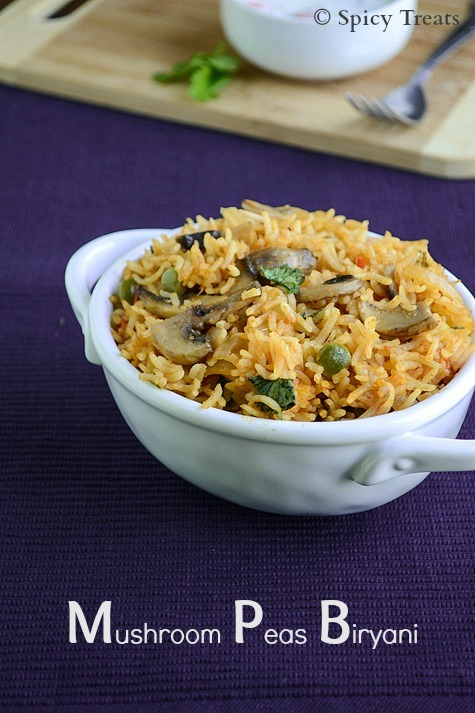 In this way u can also make vegetable biryani, chicken biryani n mutton biryani also. Just followed your recipe. Awesome & amazing! Thanks.